Tomorrow, 31st of March, Chorlton is once again hosting the brilliant Chorlton Big Green Festival. 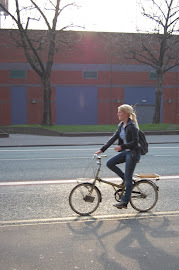 Naturally Cycling: Manchester and ChesterCycling will be leading the cycle ride from Manchester Oxford Road to Chorlton via the Fallowfield Loop. Wheelers' Brunch will also be held at the festival from 12pm onwards. Meet at the GMCC stand, to then choose what to eat from where. 11.00 MCR Oxford Road station (at Salisbury, Thirsty Scholar, Sound Control) - You'll recognise NaturallyCycling by the colourful spotty helmet (helmets are OPTIONAL!!). Mad Cycle Lanes of Manchester has made a good point that MCR Cycle Chic had gone awfully quite for the past three months. Between the current 'editors' (bloggers, posters, you call us what you like) running many other things as well as holding down normal jobs and the dreary days of winter, not much cycling action has been captured. Let's hope that with these recent timid days of spring we have been experiencing, we will bounce back to activity too! 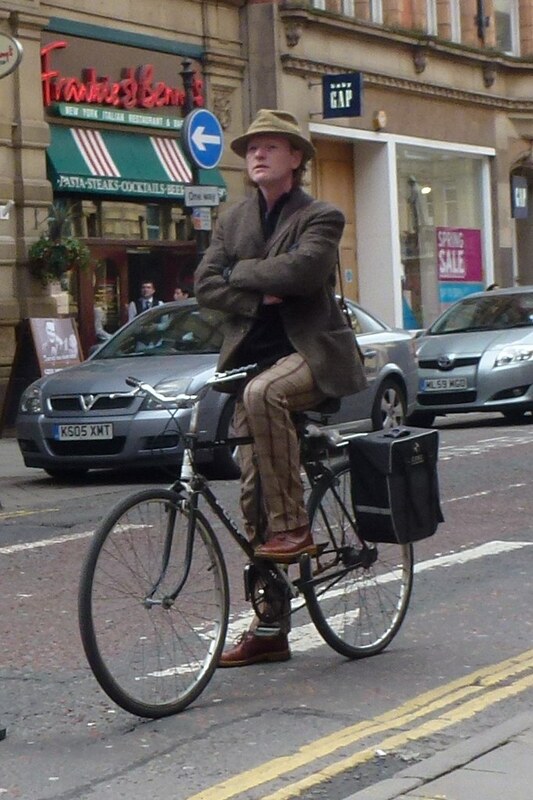 Once again, we refresh our request that all of you, dear Manchester cyclists, kindly contribute to our Flickr group, so that we can have a bigger pool of cycling inspiration. Any photos which will then be posted here will be dutifully credited. 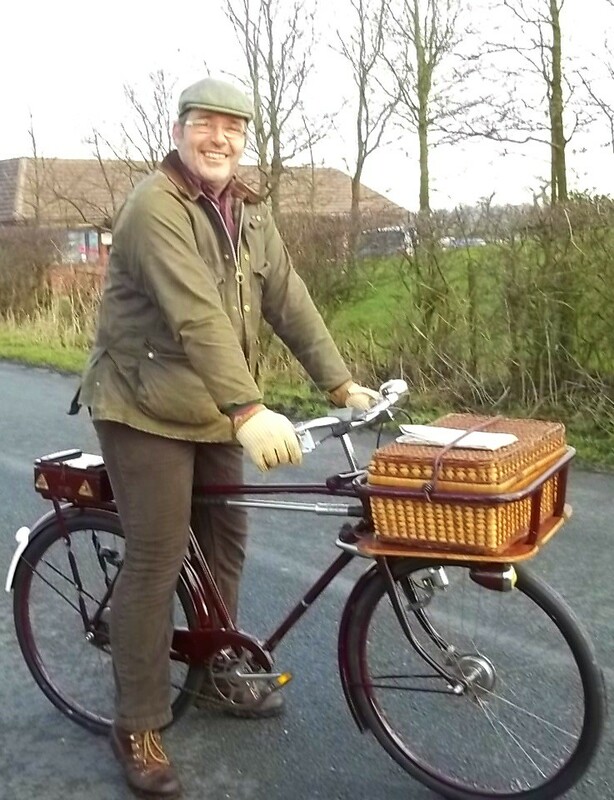 Here we start with a cracking bike and a cycling ensemble by Velocipedinerian. Thanks!